If you have any information about these crimes or any person(s) involved, you are urged to call Crime Stoppers at 308-284-4600 or submit a Web Tip . You do not have to give your name. CRIME STOPPERS will pay a cash reward of up to $1000 and you can remain anonymous. The Ogallala Police Department needs your help in solving a recent theft. On Sunday February 3rd, Officers responded to a reported theft in the 900 block of West 3rd Street. At that time, Officers took a report of a boat motor that had been stolen off of a boat. The motor was a 2016 Mercury, 115 Horse Power outboard motor, valued at over $8,000. The theft is believed to have occurred sometime in the last 2-3 weeks. Tri-COUNTY CRIMESTOPPERS will pay a cash reward of up to $1,000.00 for your anonymous information leading to the arrest and conviction of the person or persons responsible for this or any other crimes. All you need to do is call Tri-COUNTY CRIMESTOPPERS at (308) 284-4600 and give us your information. You can also visit our web site at tricountytips.com and submit your tips online, or visit our Facebook page. We don’t want your name and you will remain completely anonymous. Some time between 6:30 PM on September 6, 2018 and 7:00 PM on September 7, 2018, an unknown person or persons trespassed into the Perkins County Sheriff’s Office Impound Lot. Access was made into an impounded blue-colored Jeep Grand Cherokee by smashing out the back window with a brick, which was later collected at the scene. Once inside, a Dale Earnhardt Junior tin bucket with various automotive fluids, a white colored women’s Husker’s sweatshirt, a brown colored purse with various contents, and a blue colored purse with various contents and makeup items, were stolen. The total alleged loss for the items inside the vehicle was about 691 dollars. The window itself cost around 335 dollars to replace, putting the total loss around 1,026 dollars. The Ogallala Police Department needs your help in solving a recent burglary. In the first two weeks of August, Officers took multiple vandalism reports to vehicles in the Ogallala area. Several windows were broken out, and other damage was done to paint. Based on investigations it appears that unknown persons used a BB gun to damage the vehicles. It is suspected that a gun that is capable of a fairly fast rate of fire may have been used, as there were some windows that had several holes shot into them. The majority of the incidents occurred on the west side of Ogallala. Some time between 10:00 PM on Thursday, July 12, 2018 and 7:00 AM on Friday, July 13, 2018, a 1999 Ford Superduty pickup with an attached trailer loaded with a side-by-side UTV was stolen from a farm property about two miles west of Elsie, Nebraska. Based upon evidence and prints found at the scene, the theft occurred some time after a heavy rain, and the thief was wearing approximately size nine cowboy boots. The truck was located later that same day about three miles east and two miles south of Madrid, Nebraska, but the trailer and UTV appeared to have been hitched onto another vehicle and towed away. The same boot prints were found in the area as well. The UTV was a camouflage colored 2012 Kawasaki Mule with a grille guard, valued at about 5,200 dollars. The trailer was a black colored 2014 Diamond C tandem axle with a ramp gate and solid sides valued at about 1,500 dollars. The trailer did not have a license plate affixed. Other items including two tie-down straps, a DeWalt 18-volt cordless drill with two batteries, two moisture probes, a spare trailer tire, and a high-lift farm jack were stolen as well. The items were valued at about 1,680 dollars, for a total loss of about 8,380 dollars. Tri-County Crimestoppers will pay a cash reward up to 1,000 dollars for your anonymous information leading to the arrest and conviction of the person or persons responsible for this or any other crimes. All you need to do is call Tri-County Crimestoppers at 308-284-4600 and give us your information. You can also visit our website at www.tricountytips.com and submit your tips online, or visit our Facebook page. We don't want your name, and you will remain completely anonymous! The Keith County Sheriff’s Office needs your help in solving a recent theft. Sometime over the first weekend of June, between the dates of June 1st and June 5th, unknown persons broke in a Sporer Land Development tool trailer along highway 61, north of Lake Mac. The suspects stole approximately $5000.00 worth of tools and equipment. In this was a welder generator, laser levels, jack hammer packer and other miscellaneous tools. Sometime over the weekend of April 14th, unknown persons broke into a locked vehicle parked just off West E Street behind Wolf Auto. The suspects caused nearly $1000 damage to the vehicle when breaking in, and once inside they stole multiple items including a complete stereo system including speakers, and subwoofers, a TV sound bar, a gauge pillar, and other items. In the early morning hours of February 25, a man and woman stole a Promark brand drone, valued at $180 from the Ogallala Walmart. The male was white approximately 5’7”-5’10” with a medium build, and blonde hair. The female had a dark, possibly Hispanic complexion, and was 5’2”-5’6” with a slender build. The couple escaped through a fire exit and fled in a newer, black or dark colored Ford F-150. They were last seen westbound on Interstate 80, however it is believed that these individuals are local to the Keith County area. Do you know the suspects in this photo? The Perkins County Sheriff’s Office needs your help in solving a recent theft. Sometime between December 24, 2017 and January 17, 2018, unknown person(s) accessed the Foster gravel pit, operated by the District #3 Roads Department, in Perkins County located at 31760 Road 771, just inside Perkins County and about 7 miles South of Brule, Nebraska. A front end loader was used to remove approximately 200 cubic yards of dirt from the pit. The dirt was loaded on a semi-truck. It was estimated that the semi used to move the dirt took about 20 cubic yards at a time, which would have taken about ten trips from the pit to the end destination. Total loss was about $250. Tire tracks from heavy equipment were found in the pit, and semi tire tracks were found leaving the pit westbound on Road 771 and leading north into Keith County. The Deuel County Sheriff’s Office needs your help in solving a recent burglary. Sometime in the morning hours of Saturday January 6th, unknown persons broke into a shop building at the Chappell Feedlot located 1 mile east of Chappell on Highway 30. Once inside suspects stole tools including an orange air compressor, a Miller brand Welder, an Oxy-Acetylene torch, a wire welder, and numerous other tools++. Suspects also stole a white Ford F-350 with Nebraska plates 78-771A. Total losses of the crime are estimated at over $60,000. The Perkins County Sheriff’s Office needs your help in solving a recent burglary. On November 15th, Deputies responded to a break in at a farmstead on road 757 approximately three miles south east of Grant. Sometime between November 8th, and November 15th, unknown persons broke into a shed on the property and stole a large amount of fishing equipment and outdoor gear, including a pair of Vortex binoculars. The value of the stolen items is over $4000, and the items can be identified by the owner. Sometime over the last weekend of July, unknown persons cut a lock on the Lemoyne Storage facility in Lemoyne. The suspects stole 2 tackle boxes with approximately $5000.00 worth of lures. The Ogallala Police Department needs your help in solving a rash of recent burglaries. In late May and throughout the month of June Ogallala has seen a significant spike in the number of burglaries to business reported. These burglaries are all very similar in nature and are believed to be related. In most of the burglaries reported, the suspect forced entry to a door, and only cash was stolen. There is some security video available for the public to view at the Ogallala Police Department Facebook page. In the video, the suspect appears to be a White male, thin in stature, and wearing a mask. We encourage businesses to take extra precautions in protecting themselves against burglaries at this time. We also ask that any individual or business that may have surveillance video of anything suspicious contact the Ogallala Police Department. In the overnight hours of February 6th, unknown persons forced entry into several vehicles and vehicle compartments at a work site near Interstate 80 and the 51 A Link, at Brule. Multiple types of tools were stolen, including a pneumatic jackhammer, and tamper. The value of these 2 items was estimated to be over $800. Also, during the same time frame in the same general area, a shipping container was forced open and multiple duck decoys were stolen. Because forced break-in`s to vehicles are rare in our area, it is very possible these two crimes are related. The Perkins County Sheriff’s Office needs your help in solving a recent burglary. On January 6th a residential Burglary was reported to the Perkins County Sheriff’s Office on Rd. 762 about 1 and ½ miles north of Elsie. The victim believes the burglary occurred on the afternoon or evening hours of December 31st. Items stolen include a very unique shotgun, described as an over/under Stevens, Savage .410 with external hammers, a Walther PC380 pistol, a gold necklace with a 3-4 oz. gold nugget attached, a light blue I pad, and an undisclosed amount of cash consisting of $50 bills. The pistol’s serial number has been entered into the national system. Tri-COUNTY CRIMESTOPPERS will pay a cash reward of up to $1,000.00 for your anonymous information leading to the arrest and conviction of the person or persons responsible for this or any other crimes. All you need to do is call Tri-COUNTY CRIMESTOPPERS at (308) 284-4600 and give us your information. You can also visit our web site at tricountytips.com and submit your tips online, or visit our Facebook page. We don’t want your name and you will remain completely anonymous. AN ARREST HAS BEEN MADE IN THIS CASE, BUT SOME OF THE ITEMS ARE STILL MISSING. Over the month of December and in the 1st week of January, the number of vehicle break-ins has increased significantly. In the overnight hours of Sunday January 8th, there were at least 10 vehicles broken into. Almost all of these were on the West side of town, and nearly all of the vehicles were unlocked. Crimestoppers is requesting that citizens report anyone suspicious in your neighborhood, and that you protect yourself and your belongings by removing valuables from your vehicle and locking your cars. Sometime between the evening of November 4th and the evening of November 5th, Unknown persons broke into a residence at 621 Central Ave. in Grant. Once inside suspects stole multiple high dollar items including a blue Fender electric guitar, a Ruger Blackhawk 41 Magnum Pistol with white Grips, and various calibers of ammunition. The total loss of the items stolen was over $1500. Pistol’s serial number has been entered into the national system. AN ARREST HAS BEEN MADE IN THIS CASE BUT SOME OF THE ITEMS ARE STILL MISSING. Brule area Burglary of large sums of cash. On September 3rd Deputies were dispatched to a residential Burglary prior about a mile west of Brule on Highway 30. Upon arrival Deputies discovered forced entry into the home. The break-in is estimated to have occurred between Thursday September 1st, and early Saturday September 3rd. Suspects stole large sums of cash including some large bills, uncirculated cash, and multiple gold coins. The total loss is estimated in the six figures. Law Enforcement is requesting the public’s assistance by alerting authorities to subjects who may suddenly have access to large sums of money, or are making large cash purchases that would typically be above their means. On August 10th at about 2 AM, a blue, 2005, Dodge Ram 3500 Crew Cab, with a flatbed was stolen from Schmidt Motors. At about the same time, license plates from a different Dodge truck were also stolen from the business. It is believed that the crimes are related and the stolen truck may have the stolen plates attached to it. The stolen plates are Nebraska Commercial 77-57. The vehicle was valued at $18,000 and has been entered into the national system as stolen. 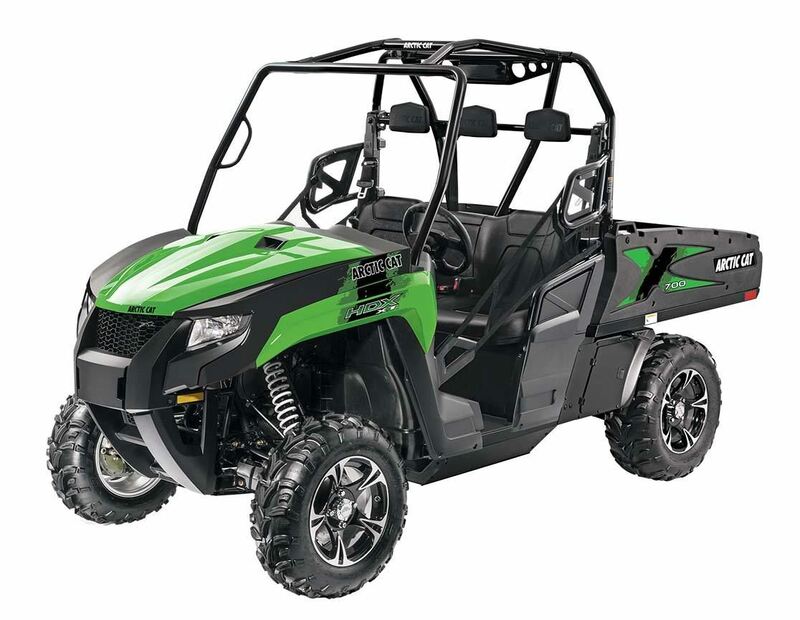 The UTV is black with lime green hood and side accents. It was likely either hotwired or trailered away. It should be noted that the vehicle is equipped with a feature that disables the engine after five hours of use. The UTV is valued at over $13,000.00. Additionally, during the same timeframe, a black, five-foot by ten-foot utility trailer with white wheels, was stolen from another property nearby. The trailer has a wood floor and tailgate, with Nebraska license plate 74-X897. The trailer is valued at about $1,000.00. It is believed that the UTV theft and the trailer theft are linked, and the trailer may have been used to transport the UTV. The VIN numbers for both the UTV and the trailer have been entered into the national database as stolen.